Minnesota Vikings running back Adrian Peterson went on Twitter yesterday and tweeted how he was intrigued by the New York Giants recent moves. Giants released wide receiver Victor Cruz and running back Rashad Jennings. Peterson did mention that if the Vikings were to let him go that the NY Giants would be a team he would like to be on. Jason Pierre-Paul might end up a free agent but sources claim that the current cuts may be for the defensive end. Pierre-Paul made it clear he does not want another one-year deal. 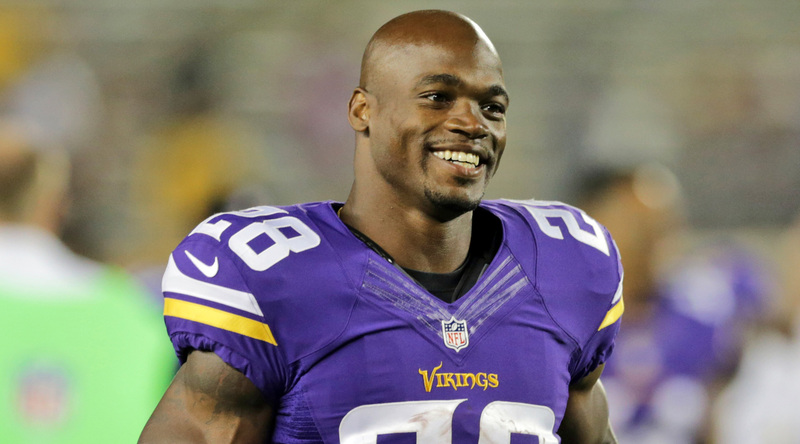 Are The NY Giants Making Room For Adrian Peterson?